This is a popular choice with both residents and visitors due to its charming course and central location, conveniently located a short drive from Phuket Town and Patong Beach. This 18 hole, par 72 course offers a relaxing and refreshing 6,555 yard round which offers opportunities for beginners, intermediates and professionals alike to test their skill. The front nine holes meander alongside the signature feature of this course, the Crystal Lake, before taking you up into the forested hills for the back nine. With literally thousands of palm trees lining the fairways and a cool breeze washing over you from the Crystal Lake, the atmosphere is tranquil and serene, despite the numerous hazards and challenging greens. Fairway landing areas are fairly generous but the tightly routed layout requires you to keep firm control of your game with wayward shots readily punished by strategically placed bunkers. 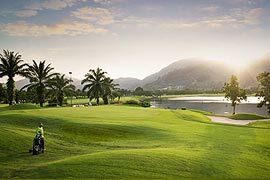 Loch Palm has earned the title of being the most relaxing golf course in Phuket, and with its convenient location, makes it a great place to start your golfing tour of the island. The round-trip transfers of the package rates are based on the distance of your accommodation to the golf course. If you stay outside Patong, Kata, Karon or Kamala area, there might be the extra charge on the transfers. Use of golf cart is available on request. Maximum 1 golfer per cart is permitted. The golf cart rental is 400 Baht/cart/person (for 9 Holes), or 700 Baht/cart/person (for 18 Holes). 'Green Fee Only' rate is NOT include compulsory caddy fee of 400 Baht/person. Rates above are NOT inclusive of caddy tip. 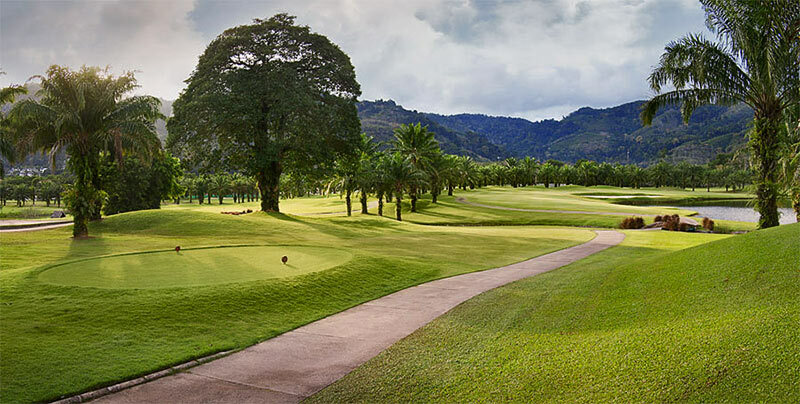 Loch Palm Golf Club has recommended to tip their caddy from 350 Baht (for 9 Holes), or 400 Baht (for 18 Holes). You can give it directly to your caddy after the game. Follower fee of 400 Baht/person (for 9 Holes) or 800 Baht/person (for 18 Holes) must be paid to the proshop, if you have non-golfers accompany into the course please inform us in the booking form.